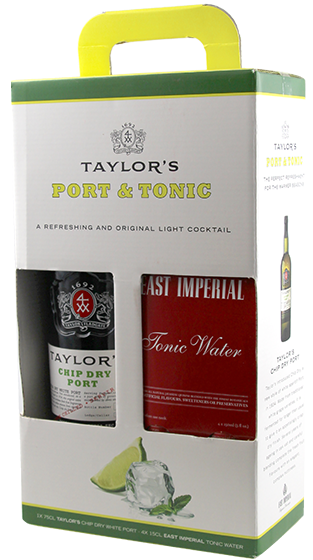 Tasting Note: Taylors introduced Chip Dry, a new style of white aperitif Port in 1934. Made from traditional white grape varieties, it is fermented longer than usual to give it an appestisingly crisp dry finish. Several years of aging in oak vat and careful blending complete the fresh fruit flavours with an elegant, nuttiness. These flavours perfectly marry with East Imperial Tonic and a large slice of Orange in a tall glass with ice. Deliciousa.